General concern about creeping Islamic power, rather than a critical national problem with mosques, appears to have produced the Swiss minaret vote banning construction of the towers. Europe and its Muslim residents have enough problems with each other that Europe doesn’t need to manufacture new ones. Yet that’s what the Swiss have done by voting in a referendum Sunday to ban the building of new minarets at Islamic mosques. On Sunday Swiss voters will have their say on a controversial proposal to impose a constitutional ban on the building of minarets. The proposal is backed by conservative Christian groups and by the biggest party in Switzerland’s parliament, the right-wing Swiss People’s Party (SVP), which says allowing minarets would lead to the Islamisation of the country. Note: There are only four minarets in Switzerland. Audio slide show chronicling Australian Muslim’s first pilgrimage to Mecca. Click on photo for slide show. 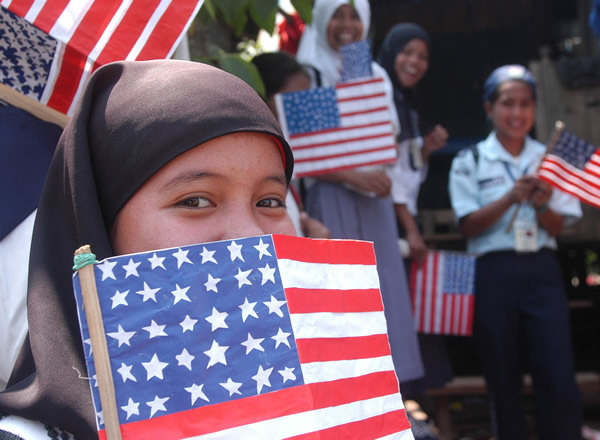 New York (CNN) — The serendipitous occurrence of this year’s Thanksgiving holiday on the same evening as the Muslim Eid-ul-Adha is a festiv e occasion to reflect on the place of Islam in American collective consciousness and on Muslims as Americans. 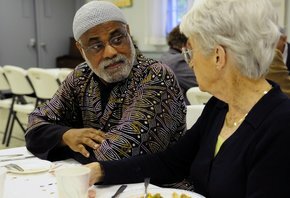 On the same evening that millions of Americans gather around their Thanksgiving dinner to celebrate this most American of holidays, even more millions of Muslims around the globe, including the growing number of American Muslims, will do the same — celebrating as well one of the most definitive moments of their faith — Prophet Abraham’s willingness to sacrifice his son for his God. The annual season of Hajj is now under way. Every Muslim who is financially capable is required by the Koran – the Muslim holy scripture – to make the pilgrimage to Mecca at the annual season of Hajj at least once is his lifetime. 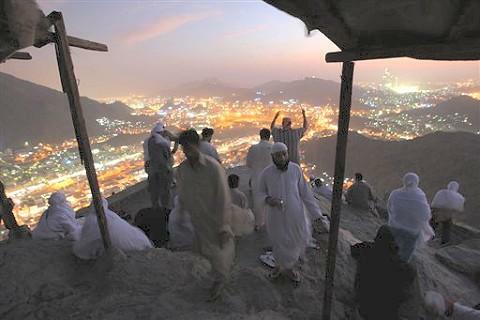 The culmination of the Hajj is the Id-Al Adha, the festival of sacrifice, which this year falls on November 28. People love labels: black, white, Democrat, Republican, Protestant, Catholic, conservative, liberal, Jew, Christian, Muslim. Labels tell who is similar to us and who is different. Human conflict — from ancient wars to the terrorism that dominates today’s headlines — has often resulted from people focusing on their differences, rather than their similarities. KILLEEN, Texas – Sgt. Fahad Kamal awoke before dawn the morning after the attack. In his Army uniform, he stood before his prayer mat, the one his mother bought him in Houston. He smoothed the top right corner folded over against the evil eye, touched his forehead to the velvet rug the color of sand, and held his palms toward heaven.